My best friend, who died, came to mind while I was reading something about Celtic Britain. I thought no more about this and, after I'd finished what I was reading, I pulled out another book from my shelves about Chinese Yoga - wasn't too sure why. 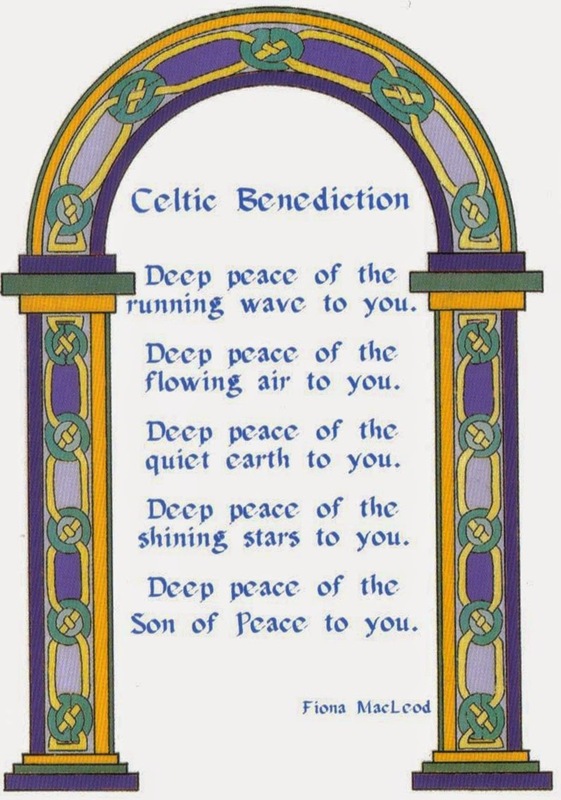 I opened it up and a card fell out - as shown above - with a Celtic Benediction. The strange thing is that it was my friend's wife who had given me this, following his death. I was wondering what had happened to it! THE HUMAN WORLD: This, as the name suggests, is the world of the Humans and also of Nature and Life. The Self, while in The Human World, is accompanied by a body, and its perceptions are determined by the natural senses. It is said that humans can learn awareness of the eternal Self while incarnate and thereby gain some understanding of the inter-penetrating, immortal existence in the Land of the Living. THE FAIRY REALM: The world of the Gods and Goddesses and Ancestors. 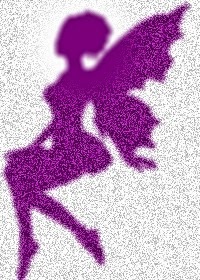 The Other-world of the Fairies infuses the Human World at all times with is power and numinosity. It can be a seductive and dangerous place. It is the view of the Land of the Living provided by the physical senses. THE LAND OF THE LIVING: The Land of Youth, Women, the Blessed Ones. The dwelling place of the eternal Self when it is not with a body. This realm infuses, surrounds and contains the Human World. It is infinite, knowing no corporal, spatial, or temporal limit. Okay, that's it: worlds or realms appear to merge or overlap at times, so this would explain why we may be able to see, or have messages from those who have gone before - and may even be able to see a fairy or similar creature if we are observant. But, whatever, deep peace to you. A coincidence story today, with thanks, from 67 Not Out reader Frank Welsh. There doesn't seem to be any great meaning to the story but perhaps there is something underneath that Frank will realise at a later date. "Here's a coincidence for you Mike. 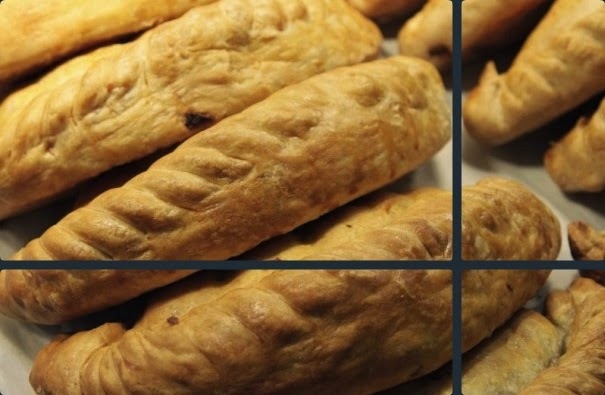 I was serving a woman customer in my Cornish bakers shop. I felt I knew her from somewhere, there was a definite familiarity about her appearance. I was thinking I must have seen her before, but I was wrong as she was a tourist down from Birmingham and was staying in a nearby Guest House. We carried on talking and I told her I lived in Bristol as a child. "Oh," she said, "My parents have just moved to Bristol." I went on to tell her the number and the road where I had lived. I was surprised at her reply she said, "That's right." I asked her if she knew the address. She looked at me strangely and said, "Well yes, that's where my parents are now living, but how did you know?" Of course I didn't know. It was just weird that her parents had moved into the very same house where I had lived as a child. We both agreed this was a big coincidence and chatted on for a while longer, until her husband came looking for her. She may have looked familiar to me but there was no other connection between us. The only link was that her parents are now living in the exact same house where I lived some thirty years ago. Are Our Brains Become Hopeless At Interpreting Information? As Sammy made his way through the undergrowth he heard a deep roar and knew something was dreadfully wrong. It sounded like a dinosaur was on the prowl and his suspicions were confirmed. Sammy was worried about his sister, Lucy, and realised she was alone and no doubt frightened. There had been a dreadful battle that day and one of the dinosaurs had fallen to the ground. ... Sammy donned his protective glasses and set off to rescue Lucy. The dinosaur glanced at Sammy and Lucy, as they both ran away to safety, but was too slow to follow them. ... and chuckled herself silly as Sammy the hero made her laugh. A quickie coincidence story today, which shows how family lives are often intertwined. 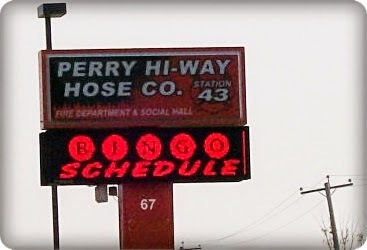 I was drawn to this example as one of the sisters mentioned lives in Perry Highway (my surname being Perry). The Hills sisters - Marie and Dolores got married, as girls do - but they married brothers: Joseph and Clarence Osterrieder. Following their weddings, and a lack of birth control, children started to arrive for both families. By 1957 Marie and Joseph had four boys and two girls whereas Dolores and Clarence had three of each. However fate played a role as the sisters both gave birth once more - and just a few hours apart (of course!). Dolores had another boy and Marie gave both to a girl. This balanced things up nicely as each family then had four sons and three daughters. On this count they all decided enough was enough. The husbands Joe and Clarence both worked for the H.J.Heinz Company and were both employed as foremen. Oh, and I didn't mention that both couples chose to marry in the month of May. Okay, nothing too stupendous, but that's life at times. It's when we look at life as a whole that we sometimes realise the influences and synchronicity that may have helped us along the way. Bill Herrmann claims that he was carried on a tubular beam of blue-green light into a flying saucer, this was on March 18, 1978. He was then examined by aliens from another star system and afterwards dropped off, terrified, in a field several miles from home. About a year later he obeyed a telepathic summons from the same humanoid creatures and met the craft for another trip up the blue-green beam and into space. Herrmann has been hypnotised several times to help him remember his experience. He first saw the saucers or UFOs in late 1977, but in March 1978 he watched a metal disc, about 60 feet in diameter, as it manouvered near his home north-west of Charleton, USA. "It [the flying saucer] dropped abruptly from the sky. Suddenly it was right in front of me. I fell backward. The next thing I knew there was light all round me, green and blue, and I felt myself being tugged upward. I couldn't remember anything. I didn't know where I was. A terrible fear came over me and I stood weeping for what seemed a long time. I felt dirty. I felt like I can't describe it. I felt like I had been around something I shouldn't have been around." Under hypnosis he recalled an examining table within the flying saucer, also flashing lights and creatures who looked like human fetuses with enlarged heads and eyes. They had spongy white skin and wore rust coloured jumpsuits. They were about 4.5 feet tall. Herrmann also tells of a further visitation. 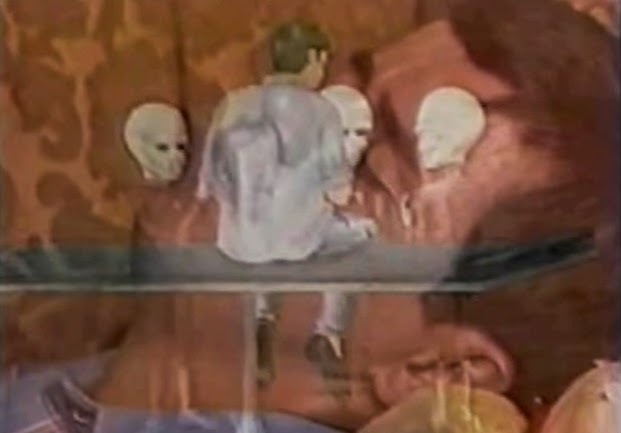 On April 21 1979 he claims a pair of aliens materialised briefly in his home. Then on May 16th he saw the spacecraft again from his home and received a telepathic message that he was to meet them at a nearby industrial estate. Once at the rendezvous a blue-green tube of light again carried him inside the craft and he found himself on the examining table. Herrmann said of this, "I felt repelled by their appearance. But I felt inferior in their presense." The aliens/occupants of the craft told him that they were from a world near twin stars, more than 30 light years away, where their entire civilisation was devoted to interstellar exploration. Herrmann claims the saucer/craft travelled to Florida. Here they whizzed him past the Kennedy Centre and showed delight at the primitive vehicles on the ground. He went on to say that the aliens told him that Earth governments had resisted attempts at friendly contact, but they insisted they meant no harm and their purpose would eventually be made clear. And that is Herrmann's story. Below is a YouTube video of one of his hypnotic regressions. It's quite lengthy. A true adventure coincidence story, which is virtually unknown. The scene is set at the beginning of World War 2 and E.G.Kirtley, an American, was residing in China where he represented a British tobacco firm. His personal supplies were running low and could not be purchased in Haijo where he was based. The nearest seaport at this time, from where he could obtain what he wanted, was Tsingtao. The problem was, it was blockaded by Japanese war vessels. Nevertheless Mr.Kirtley arranged to travel on a boat, swarming with rats, and where the crew were all Chinese. They managed to avoid the Japanese warships and made it to his destination. However, it wasn't to be all plain sailing. As he walked up the gangplank to disembark, he was met by a tall German officer who spoke only in German. Kirtley was unable to understand what was being said, so he handed over his USA passport as identification. The officer was far from happy with this response and German soldiers were summoned to lock him away. They believed him to be an English spy and, if this was proven, he would have to face the firing squad. After being held for three worrying days a young German lieutenant entered Kirtley's room and spoke to him in perfect English. The officer told him that, unless he could answer his questions satisfactorily, and prove he was from the USA, there would be serious consequences. The officer wasn't convinced by Kirtley's answers and then, out of the blue, suddenly demanded to know where Kirtley was from in the USA. He replied that he was from Richmond, Virginia. The lieutenant then asked him if he knew anyone in Richmond named Trigg. Mr.Kirtley did, and answered that he knew a Bill Trigg, a ship builder. "Can you give me the number of his residence in Richmond?" the officer asked quickly. Under pressure, and being nervous Kirtley couldn't at first think of the number. Eventually he came up with the answer he hoped was correct. To Kirtley's amazement and relief, the lieutenant then stepped forward, smiled and gave his limp hand a shake. "Congratulations, Herr Kirtley, I went to the University of Berlin with Bill Trigg. We have corresponded ever since leaving University!" What was a very dangerous situation was therefore saved by a coincidence, but more was to follow. Kirtley was given a pass of safe conduct through the German lines. He decided, however, to return to Haijo by the way he had arrived - by boat. This meant having to avoid the Japanese warships once more. As they were passing the three mile limit, they were fired on by a torpedo boat but managed to escape. Mr.Kirtley finally returned safely to his small residence in Haijo. A few weeks later, while sitting on his porch, he heard a droning sound coming from above. Looking skyward, he saw a grey plane. It swooped earthward, heading for a wide field at the end of the village. Kirtley sprang to his feet and, together with his Chinese assistant, ran to see what was happening. When they arrived the plane had landed and the pilot was dismounting from the cockpit. He pulled off his helmet and goggles and Mr.Kirtley was amazed to see he was looking into the eyes of the very same German lieutenant who had saved his life in Tsingtao! They shook hands warmly, amazed at yet another coincidence. The officer explained to him that Tsingtao had fallen into the hands of Japanese troops. Rather than surrender with the rest, he commandeered the plane, and escaped as the Japanese were marching into the city. 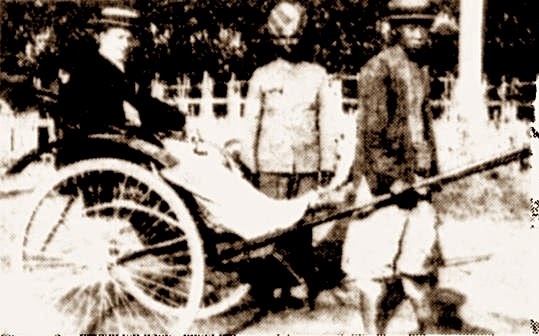 The lieutenant spent time at Mr.Kirtley's house in China, Then one day he was suddenly interned by the Chinese and put on a boat headed for Shanghai. The officer managed to escape yet again and the last Kirtley heard of him was that he was on a boat bound for Gibraltar. In the early 1940s the Germans were far from popular but no matter how Kirtley felt about Germany he always had a warm spot in his heart for the lieutenant who saved his life and became his friend. I first got the gist of this story from the Herald Journal, dated March 10 1940. A couple of days ago I published a post about our modern use of computers and phones. 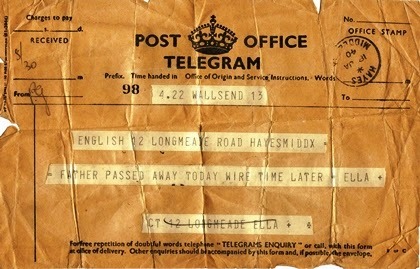 This reminded me of the contrast with a telegram I have from 1940, which I found following my mother's death. In 1940 my mother was single and had moved to west London while her father, mother and three siblings remained in Wallsend, which is in north-east England, some 300 miles away. Her father (my grandfather) died completely unexpectedly. He was simply getting out of bed one morning in 1940 and passed away - no reason known. The only way my mother could be informed of this was by telegram. The message from her sister briefly stated : 'Father passed away today. Wire time later Ella'. It must have been quite a shock, but brevity was essential with telegrams as each word was expensive, plus this happened during the second world war, when money was tight. My grandfather's death in 1940 meant I never knew him, though I've always felt a closeness to him for some reason. I've told the story previously about my link with him through the the two Buddha I have on my mantelpiece. When in her nineties my mother had a severe stroke and had to be looked after in a Nursing Home. It was a sad and difficult time. Just before she died we managed to get her to our house. It was very emotional as she 'knew' this would be the last time she would see my home. As we sat in our living room she looked at my Buddhas on the mantelpiece, where they had sat for many years, including all the while my mother was fit and healthy. "It's strange," she said, "My father always had a Buddha on the fireplace mantelpiece as well." I'd never known this. It seems, like me, he was interested in Buddhism. I've strayed from the subject of telegrams and communication but isn't it amazing how we have gone from words stuck on a piece of paper, and used for emergencies, to today's technology where we can contact and see someone instantly. Wonder what another 75 years will bring? I think the first time I heard about psychic surgeons was with the case of Arigo or, to give him his real name, Jose Pedro de Freitas from Brazil. I published a post about him 2010. Arigo 'operated' using only a pair of nail scissors and rusty penknife. While doing so he remained in a trance like state. He never used antiseptics or anaesthetics. It is said that, when he was once shown a film of himself operating, he fainted. 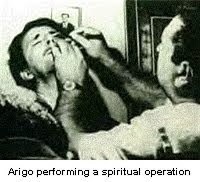 Okay, Arigo is a figure from the past - he was at his height in the late 1950s - but there are still psychic surgeons today. I was reading about a current healer, Ray Brown, in a Daily Mail article. 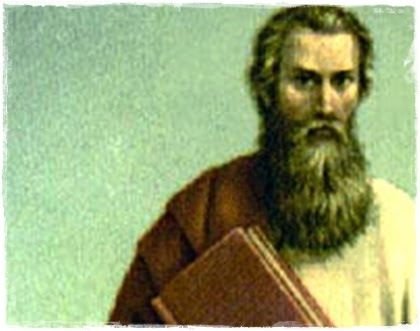 Arigo claimed that he channelled a German physicist called Dr Fritz, who guided his surgery. Ray Brown, however, seems to have more influence as he says his spirit guide is none other than St.Paul. But lets not write this off as fake because their surgery does seem to work for some people. Take the case of Cynthia Knapp for example. Cynthia, from Worthing, England reckons 'a miracle' happened following treatment by Ray Brown / St.Paul. She had been virtually immobilised by rheumatoid arthritis. Her pain was so great that sometimes she had difficulty in hobbling the short distance from her bedroom to the bathroom. Today her pain has gone and she is now able to go to the park with her grandchildren. Cynthia told the Daily Mail, "I'd never been interested in anything New Age previously - I'm a born sceptic. But by that stage, I was willing to try anything. I'd had years of anti-rheumatic drugs on the NHS [National Health Service]. The pain in my back was excruciating. I had nothing to lose." "He told me a lot of my pain was caused by trapped nerves. He massaged and manipulated the particularly painful areas to release them which, I must admit, hurt a lot. After the first session, I felt sore for a couple of days, but then the pain in my neck and back disappeared. It was absolutely wonderful. Now, I go every month for a top-up session to keep me mobile and energetic." I'd better add here that Ray Brown charges for his services. "It's relative easy to manipulate people's perceptions of the levels of pain they're experiencing. When they believe a treatment will lessen their pain, it often does - it's the placebo effect, which can be positive if it encourages people to relax and give their bodies a chance to heal. But when there's an objectively measurably problem, such as a tumour. they won't shrink it. They can only work with our mood." "I was absolutely desperate. The pain in my joints was indescribable. My doctor couldn't do anything beyond giving me strong painkillers. When a friend told me about psychic surgery, I found Vincent online and asked him if he'd come to Wales [where she lives in Wrexham]. I couldn't see Vincent because I was lying on my front, but his voice changed and took on a Spanish accent. He put his hands on my head, spine and legs. He only touched me gently, but it felt as if something shifted inside - like when you are pregnant and can feel the baby moving in your womb. It felt peculiar, but not painful. At first, I felt awful. My limbs ached and my joints hurt. But, three days later, I felt amazing. My pain disappeared and hasn't returned since. I've done more walking in the past month than in the past three years." Going back to the first example Cynthia says about the sceptics: "I don't care what people think - as far as I'm concerned, it's magic. I may not know how it works, but I'm living proof that it can." I'm not recommending psychic surgery, as I have no personal experience, but we mustn't just write something off because it sounds different. It may simply be a placebo effect, but does this really matter if it makes the pain ease? There are more testimonials on Paul Brown's website here. It's up to the individual to form his or her own opinion regarding psychic surgeons and other alternative treatments. The other day I was with a few people sitting and talking. A couple of those present had their iPads with them. They were constantly looking at them and answering bits of the conversation from stuff they kept finding on their iPads. I found this annoying and unnecessary. So I was interested to read what the neurologist, Susan Greenfield, has said about this. Ms Greenfield tells of how we are becoming slaves to digital technology and how this has begun to alter our brains. The need to constantly check Twitter, Facebook and the like, our almost inability to converse without checking our emails is actually a form of addictive behaviour. According to Greenfield's book, Mind Change: How Digital Technologies Are Leaving There Mark On Our Brains, social networking sites may be worsening our communication skills and reducing 'interpersonal empathy'. As for games she suggests that obsessive gaming could well be making us more reckless and aggressive. 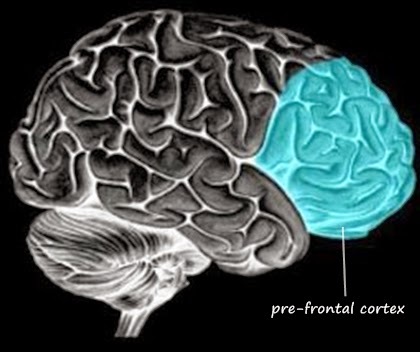 It seems that the pre-frontal cortex is the 'newest' part of the brain in evolutionary terms and potentially gamers could do irreparable damage to their cognitive functions, concentration and moods, with symptoms similar to attention deficit hyperactivity disorder. This applies especially to young people, where the pre-frontal cortex does not develop fully until the mid-20s. Our reliance on search engines may mean that we are sacrificing deep knowledge and understanding, Our ability to reinvent ourselves online may lead us to lose our sense of who we really are. The message does seem a bit doom and gloom - for all ages. She poses the question: "Have you noticed how much harder it is these days to concentrate on a thick book or long article?" This could be because the internet is making our brains more 'flighty and easily distracted'. Hence the popularity of YouTube short videos. According to Greenfield we are finding it harder to cope with complexity or anything requiring sustained attention. We are becoming more like computers ourselves: super-efficient at processing information but hopeless at interpreting it. There is no doubt some truth in what she writes, it's so easy to Google something rather than work out whatever it is for ourselves. If we take this to extremes what will we actually become? Almost robotic? And who or what could/would be influencing or controlling us? I don't know the answer to these questions but I do know that when I go on holiday abroad I feel much better and healthier. I put this down, not just to sunshine and relaxation, but to not looking at a computer, phone or television; and not reading newspapers for the period I'm away. It's quite nice being with your own thoughts and thinking for yourself. We were in Truro, the city for Cornwall, and while there we popped into the Cathedral. It always gives me a lift. I felt there would be something inside for me, as I saw a white feather in the entrance lobby. Always a good sign. We lit a candle for those we have lost and nearby was a board of poems from World War I. One shone out from the rest: The White Feather Sniper. As regular readers will know I have published many posts about white feathers. The special atmosphere of the Cathedral makes you want to look up. I suppose this is what it sets out to do. The arches and pillars are magnificent, you don't need to belong to any religion to appreciate the splendour. The white feather had gone from the lobby following our visit. 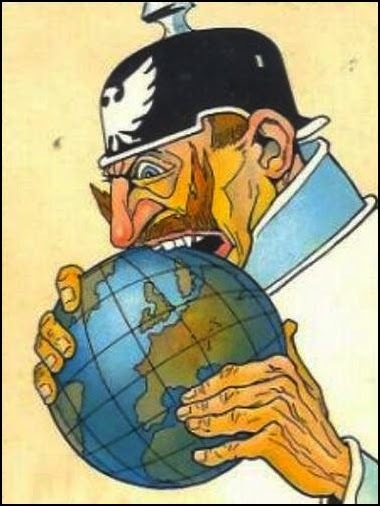 caricatured trying to eat the world, but finds it 'too hard'. It looks as if there has been an interest in coincidences for a long time. Here's a story I found in The Evening Telegram of December 16, 1896. If it's true, it's quite remarkable. A certain peasant and his wife, in Germany, were married on the same day as the Emperor and Empress, the peasant's Christian name being William. The first child, a boy, was born on the same day as the Crown Prince, after which they had five other sons, each of whom was born at the same time as the five younger boys of the Emperor. The Royal couple were informed of this, and were exceedingly interested in the very strange coincidence, but this interest was intensified when, on the last occasion of a royal birth, viz., the little daughter of the Kaiser, it was learned that the peasant's wife had also given birth to a daughter on the same day. So astonished were the Emperor and Empress that they stood as godfather and godmother to this little girl, and have well provided for her future. 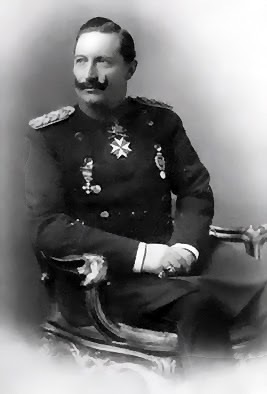 I've checked and William or Wilhelm II had seven children, six sons and one daughter He married Augusta Victoria on the 27th of February 1881. So the dates and info seem to fit okay. We had a recent trip away but, before we went, a Mouse Triangle began to take form. Two days before going we found a dead mouse on our driveway. I moved the mouse in a respectful way. The following day there was a further dead mouse on our driveway, about three feet from where the other was found. Again I moved him or her to a better place - or maybe he or she was already there. But, whatever, the next day we went on our trip, with no dead bodies in sight and a good time was had by all. We arrived back late on the Monday and on Tuesday morning Karin said, "You'll never guess what, there's another dead mouse on our driveway." And, of course, she was right. If the three dead mice were all in their original positions, and you were to join them with straight lines, it would make a triangle - thus the Mouse Triangle I mentioned in the first sentence of this post. Mysterious. We haven't a cat, or any other rodent hating animal, so how did the mice end up in our driveway? Synchronicity perhaps? But synchronicity means 'a meaningful coincidence' and, as yet I can't pin a meaningful label to the three mice. Obviously there's the nursery rhyme of Three Blind Mice, which my grandson used to like us to sing together. But he's now 4 years and 1 month, so has moved on to other songs, such as something from the Frozen movie. I Googled 'dead mouse as a symbol' and the first entry I clicked on was Yahoo! Answers. The entry read: "Her co-workers went on to name it Mike the mouse before burying it. Mike is actually her brothers name and she got a weird feeling about the whole situation." But, I'm not mouse-like, though I sometimes get called Mickey - I mostly get called Mike nowadays. I next clicked on What's Your Sign and the writer said about dead animals: "An animal death reminds me of a Latin phrase I hold dear: Omnia mutantur omni tempus (all things are changing - a time for everything)." 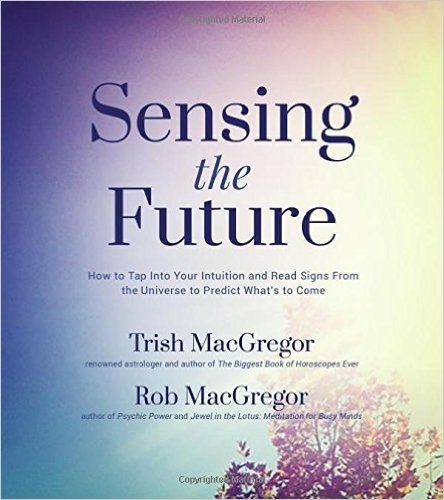 "To see a dead mouse in your dream implies that you are not letting minor issues bother you. You are not letting your own fears get in the way of what you want. Alternatively, a dead mouse indicates that there is something that you have ignored or neglected for too long." 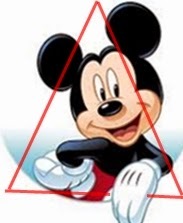 But it wasn't all a dream, so the mystery of the Mouse Triangle remains. Clover's mother, following a nasty accident many years ago, had become profoundly mentally and physically disabled and incapable of looking after herself. Sadly, when Clover was five months pregnant, her mother died. She writes, "I was distraught, but took comfort in seeing the strength of love she had given me as a child living in my own three children, and tried my best to focus on the fourth little person who would soon be joining us." After 38 weeks Clover went into labour. As her contractions peaked she suddenly felt very alone. This was despite her husband and the midwife being at her side. She writes: "I wanted to escape, and somehow leave the labour room to retreat back into my safe life, before childbirth. But then, at the moment I felt most hopeless, I became quietly aware of a third person in the room with us." Looking at this new visitor she noted that the woman was wearing a long denim skirt and there was something familiar about the knitted waistcoat. She realised this was her mother, her dead mother. Her appearance was as Clover remembered her from her teenage years, and before her accident. Her mother smiled at her and she heard her say, "Come towards me. Come here. Come over and meet me." This was a voice she hadn't heard for 22 years. Another contraction and again her mother said, "I'm here, just come towards me." Clover's husband and the midwife were not aware of this other presence in the room. Clover explained, "I did not think for one minute that I was hallucinating ... as I moved further into my labour I could see her clearly, standing beside me at each step. When I felt scared, I looked at her, and she smiled a little brighter so that my fear subsided." She continued: "With her beside me, the pain stopped being a terrifying force ... Mum left the room as seamlessly and as quietly as she had arrived. When the moment came to push, she had simply gone. She had come to guide me to that point." Her son, Dash, was born. As a finale Clover said, "I know meeting my mother after death might seem improbable, but trying to understand, or account for, the powerful, mysterious force of the human spirit feels futile - beyond scientific reckoning." We had a few days away staying with friends in Dorset. This kindled some memories as we lived in the area before moving to Cornwall. The weather was somewhat changeable but we seemed to dodge the showers and visited several places we knew. The photo above is Bournemouth, showing some of the beach and the pier. From there we walked to the Russell-Cotes art galley and museum. There were many magnificent paintings on show including Anno Domini by Edwin Long. When the picture was first exhibited in London, in 1883, it caused a sensation. People queued around the block to see the gigantic painting which shows the Holy Family arriving in Egypt. It is also known as The Flight To Egypt. The Sea Maidens by Evelyn De Morgan was part of a special exhibition: The Morgans and the Sea. Her five older sisters, shown in the picture, sell their abundant hair to the Sea Witch in exchange for a knife. The Little Sea Maid can then kill her unrequited love, the Prince, and return to mermaid form. Instead the Sea Maid drowns herself rather than kill the man she loves. In the painting the sisters' cold eyes and inexpressive faces allude to their lack of an immortal soul. So there you go! We also went into Poole where we had a trip on a boat from the harbour - the second largest natural harbour in the world - to the small town of Wareham. In the harbour we passed Brownsea Island which is where the Boy Scout movement was first started by Baden-Powell. ... to Wareham and the sun came out! And then it was back to Poole. Another day we walked along the River Stour at Wimborne. A lovely few days - batteries recharged! Hereditary: The Headless Rite and Grief?